Like your vehicle, your solar power system needs a little love once in a while. When its done correctly, your solar power system is usually a ‘set and forget’ investment. However, in order to protect this investment and ensure it continues to run at its full potential, it is recommended that you service your system each year. The Clean Energy Council (CEC) actually recommends servicing your solar power system every so often in order to increase power production and also to extend the life expectancy of the system. 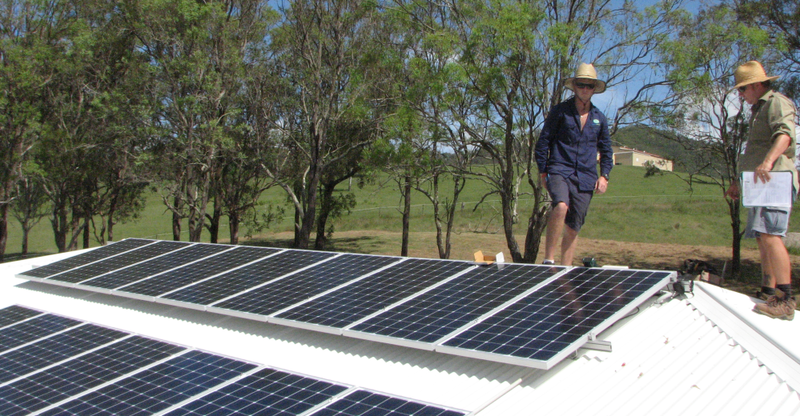 Checking the output voltages, AC and DC power, rooftop isolators, testing the inverter and ensuring the solar system is producing to its full potential. Checking the racking, railing, tilts etc are correctly installed and secure – these hold the solar panels in place so it is important that it is all tight and secure. We also go over all the cabling and make sure it is secure. While living on the Sunshine Coast is a dream, the salt in the air is not. Often solar panels develop a layer of salt on the surface which decreases their efficiency. Salt and others (such as bird droppings, dust, tree sap etc) can reduce the performance of a solar panel by up to 25%! Leaves, dust, dirt and the like get stuck underneath solar panels as well and often goes unnoticed. This also decreases generation as it hinders air flow beneath the solar panels which helps to keep them cool and performing better. We will clean this out and ensure all debris is removed. We perform a general clean and tidy of the roof. Some older systems only used cable ties to neaten the cabling which will have perished in the sun. We will change these with new steel clips which will not perish – they hold the cables better and look much neater.